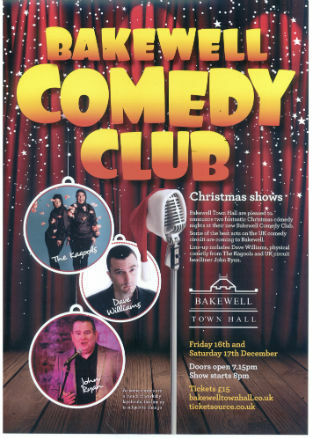 Bakewell Town Hall are very pleased to announce a fantastic Christmas Comedy Night at their new Bakewell Comedy Club. 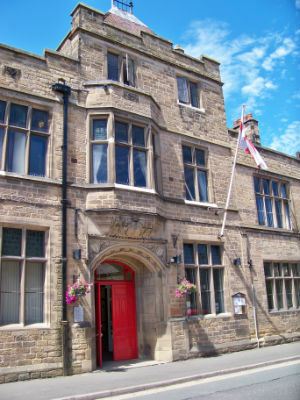 Saturday 17 December sees some of the best acts on the UK comedy circuit heading for Bakewell. This is a great night out for Christmas works parties, friends or couples just seeking a break from the madness of Christmas. Acts already confirmed include Dave Williams, physical comedy from The Kagools and UK circuit headliner John Ryan. Join us at 8pm, 17 December and every month for the best laughs and the best beers. 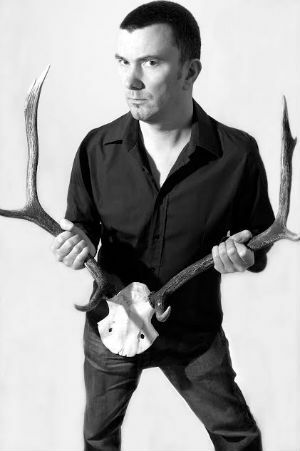 Dave Williams has been a full-time comedian since 1998 and is a regular at venues including the Last Laugh, Comedy Store, Manford’s Comedy Clubs, Jongleurs, Frog and Bucket. He has performed overseas in Singapore, Hong Kong, Shanghai, Dubai, Abu Dhabi, Doha and Australia, including a week headlining the Sydney Comedy Store. He has also performed in Cyprus for soldiers returning from Afghanistan. In 1998 and 1999 Dave took solo shows to the Edinburgh Fringe, performing Caffeine – “a fantastic Fringe debut” (The List) – and Coffee with Dave Williams – “an engaging, amenable performer (The Stage) – at the Gilded Balloon. He performed an updated café themed show, 24 Hour Latte People, at the Manchester Comedy Festival in 2007.In 2014 Dave performed his first spoken-word show on the Edinburgh Fringe. Prufrock and Me is a poignant account of growing up and is based on the T S Eliot poem The Love Song of J Alfred Prufrock. 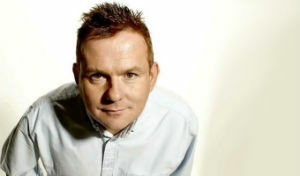 Dave has been a regular contributor to Radio 4 Extra’s topical comedy show Newsjack. 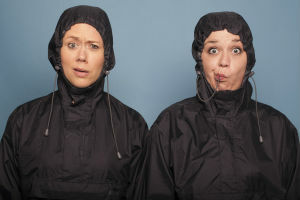 The Kagools are a multi award-winning physical comedy duo from the UK. Starting out just three years ago, they’ve quickly gained fans far and wide with their unique brand of wordless (but far from silent), spontaneous, anarchic fun. An equally sought-after headline act both at home and overseas, their critically acclaimed shows have toured extensively, with recent international appearances including Australia, Norway and Vietnam. One of Urban List’s Top 5 International Shows to see at Melbourne International Comedy Festival (the others were: Tom Green, Al Murray, Tommy Tiernan and Ross Noble). The irresistibly amiable and Edinburgh highlight award winner John Ryan uses his acerbic wit and seemingly encyclopedic knowledge of the world around him to keep any audience on their toes. His East End Irish upbringing gives him the rare ability to connect with people from diverse backgrounds. No stranger to either the strange or the norm, he will put an amusing spin on any subject matter going. John has a reputation for thinking on his feet and confidently and cleverly adapting his show to any audience. His high energy and war personality has also helped rocket his health show into the limelight through ongoing projects with The London Science Museum and Unison.